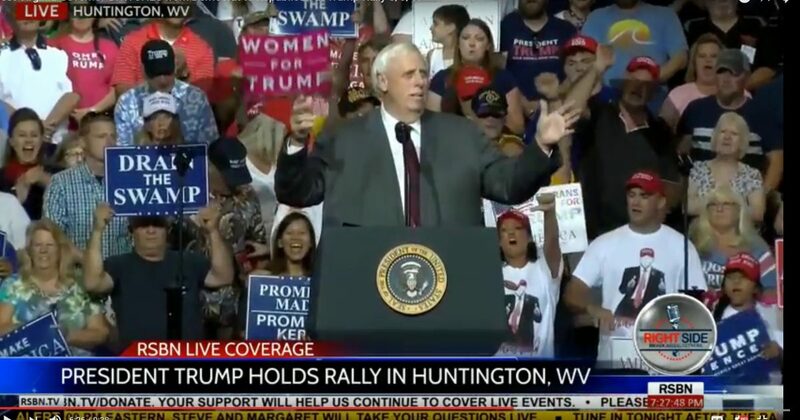 Watch West Virginia Governor Jim Justice in the video, below announce his switch to the Republican Party during a Trump Rally in Huntington, West Virginia. In November, Republicans solidified and/or expanded their majorities at all levels of governance, and it looked as if things couldn’t get worse for Democrats. Except, it just did. It’s not immediately clear why Justice is doing an about-face. But the fact he is underscores just how fragile Democrats’ hold on power is. With one politician’s decision to switch parties, Democrats now hold a record-low number of governorships — and Republicans hold a record high. Party switches, especially at the gubernatorial level, don’t happen very often. Justice is the first governor to switch from Democrat to Republican in 2½ decades. And it’s not clear he did it because of broader partisan dynamics.